Gordon Caplan. Photo from Willkie Farr & Gallagher. Gordon Caplan, the former co-chairman of Willkie Farr & Gallagher, says he will plead guilty in the college admissions scandal. Prosecutors had accused Caplan of paying $75,000 to bribe an exam proctor to boost his daughter’s ACT score. Caplan said in a statement Friday that he will plead guilty to pending charges of conspiracy to commit mail fraud and honest services mail fraud. The American Lawyer, Reuters, Bloomberg News and the Wall Street Journal have coverage. “I apologize not only to my family, friends, colleagues and the legal bar, but also to students everywhere who have been accepted to college through their own hard work,” Caplan said in the statement. 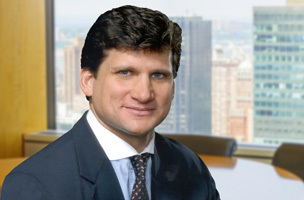 Willkie Farr had placed Caplan on leave a day after he was charged along with 49 other people in the college bribery scheme. In a statement Friday, the law firm said he is no longer a partner.